When Is One Vote More Than Just One Vote? Home » Political Analysis » When Is One Vote More Than Just One Vote? 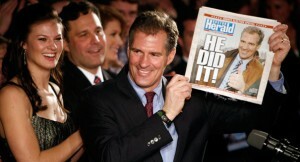 Scott Brown is the new Senator from Massachusetts. When a virtually unknown Republican can take a seat formerly held by Ted Kennedy in the bluest of blue states, the word “upset” doesn’t come close to what happened last night. This is nothing short of a sea change, and any Democrat up for re-election should be scared of losing his job this fall. The Brown win was not really a “yes” vote for Republicans but a great big “No” vote on health care. The Republicans now have 41 votes to the Democrats 59 in the Senate. Democrats still have a solid majority, but they are no longer filibuster proof when it comes to health care or any other bill pushed through Congress. In order for health care legislation to pass now, the House of Representatives pretty much has to vote “yes” on the Senate version of the bill. There are big differences in the House and Senate versions of the bill, and the House only passed its version of health care by a 3 vote margin. What do you bet that some moderate Democrats will want to vote “no” on the Senate version and kill the bill after what happened in the Bay State? Speaker of the House Nancy Pelosi will not go down without a fight. She said, “Whatever happens in Massachusetts, we will have quality, affordable health care for all Americans, and we will have it soon.” I hope she is wrong because killing the health care bill could be the best financial news America could get right now. For one thing, uncertainty over a new health care tax would be lifted and maybe some employers will hire some new workers. Also, if health care does go down, then all of the billions of dollars in giveaways to entice Democratic Senators to vote for the bill can be taken back. Louisiana, Nebraska, Florida, Iowa, Vermont, Massachusetts, Montana, South Dakota, North Dakota and Utah are just a few of the states that cut deals for their vote. If the health care bill was so good for America, you shouldn’t have to bribe someone to vote for it! Can you imagine not spending money on a terribly expensive boondoggle we cannot afford? Wow! What a concept! How refreshing. We can simply stop digging a deeper financial hole than we are already in right now. According to the latest Rasmussen poll, 56% of voters oppose the health care plan. Brown’s win is more than adding just one more Republican vote to the Senate. It is signaling a red light on health care and maybe a change of direction in American politics. What about a guy like me with pre. health problem! Or the grand kids in the years ahead! with the same! NO Health CARE FOR THEM! Connected to you through C2Cam. I’m always impressed with anyone who has the guts to ‘stand outside the box’ and report as much of the truth of what’s going on in the ditch out there. Has anyone done any articles …..have you investigated…..the truth behind all of the major ‘donation sites’ for disasters like Haiti, Katrina etc. and the rumours that they ‘skim’ at least 80% of the monies donated to them for ‘administrative needs’? These monies never gets spent as people expect them to be but end up in some Swiss bank account somewhere or whatever. I would think that would be an interesting ‘trail’ to follow….these monies to their final ‘resting place’…..and get the truth out to we well meaning folks in the ditch. Respectfully disagree. Scot Brown successfully painted Martha Coakley as a politics as usual incumbent. A claim she never refuted. From there it was a small step toward tapping into the predominate angry mood of the public and channeling it against her. I submit the recent Republican wins in Virginia, New Jersey and now Massachusetts is more anti-incumbent than anti-Dem. Hi Greg– Excellent perspective and comments on what rcently happened in Massachesetts. Hopefully, Reid and Pelosi can be reined in and brought back to some level of reality. Pelosi’s comments, referenced in your article above, suggest the arrogance and moronic mentality will persist. It’s up to the American taxpayer to continue stand our ground (as occurred in Massachusetts, etc.) and let the idiots in Washington know we’ve had waaaaay more than enough of fiscal irresponsibility and their socialistic agenda. Well, this is indeed a ray of hope for this country, however dim it may be. OT: it was nice listening to you on WZTK last Monday. I love Brad and Britt! Thank you. When are people going to overcome the state of consciousness of believing that electing someone to a position in a corporation will have anything to do with their wellbeing? No superman is going to do anything for them, its the apex of irresponsibility to watch a nation cheer and gather around their idols, the only change that can possibly come is from us and what we create in our sphere of influence. There is a third party coming for 2012. I hope it can get the country back on track. worried about blowing a hole in their own budgets. Unions do not negotiate Cadillac health and welfare benefits for their membership, they provide them to their employees. Many union employees belong to unions controlled by the union bosses. That makes it easier for them to take over smaller unions. If you look closely at the union exemption you might find deeper consessions. I am a little skeptical of Scott Brown, because he did vote for the Mass health care they currently have, which I believe has become more of a burden on the people of Mass. I do hope he stays on his platform that he was voted on….I was certainly one excited Oklahoman (Via the UK) last night!! I do most assuredly hate the rhetoric coming from the Left, it is also bad from the Right, somthing I wish would go away!! People will be people tho. We have House and Senate bills to contend with, neither of which I care for….and yes, it would be very refreshing to not spend more money on somthing this huge and this intrusive and too controlling. I am curious as to how this would actually stand under scrutiny of the Constitution, which I believe the HC Bill has really no “leg to stand on” so to speak. I am going to spend time now and read through your archives. Thank you for your ‘voice’ Greg….keep up the good work!! Thank you for the thoughtful comment. Please write again anytime!! Great comments. Thank you both for taking the time to write. You both seem to think alike and that aint bad!! Pelosi, Reid, and Obama will not “trianglate” as Clinton did in 1994. Leadership is too ideological and arrogant. Their elitist mentality will cause them to go down with their ship. Nancy, Harry, and Barry will swerve to avoid the debris called “the Scott Heard Around the World.” 2 November 2010 is still the day. Scott Brown, Christie, and McDonald have created the template for patriots to use for dumping our current leadership. You are turning into a regular and that is great!!! Thank you for the comment. Thank you buddy! I don’t know about the Senate thing though. Where is she going to get this from? It’s not in the house or senate bill. And one last thought, an enemy of my enemy is my friend. Vote Republican not because that they are saints; they are also corrupt and think they are the NEW Aristocracy. Vote for them because they are not Democrats with a Socialist agenda. We need a new Independent party. 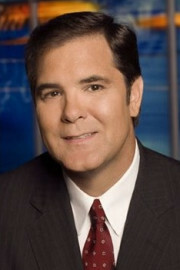 I just heard Greg Hunter on Coast-to-Coast AM radio. This website is genuine. Health Care — I thought this country was being fully taken over by Socialists-Communists. With the Massachusetts Senate win of Scott Brown, the tide is suddenly turning. I believe Scott’s win will have many in Congress immediately change their “pro-Obama Health Care” votes to “Anti” when the next chance to vote on this subject occurs. This does not mean we are out of deep financial trouble due to both political party antics. Being in debt makes us a slave to our creditors. The present U. S. creditors (China, Arab Oil Nations, etc.) are not our allies. God Bless you, Greg, for your efforts. Thank you for the kind words and the comment. I think you are spot on! The people of the nation thank those patriots in Massachusetts for seeing through the “shuck and jive”. Go Celtics and Red Sox.